ADI engineers have access to a level of technology that other gas leak detection companies can only dream about. 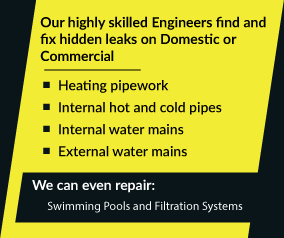 We have both the tools and the training to allow us to find up to 98% of all leaks within a single working day. And all of the work we carry out is non-invasive so you don’t need to worry about holes being drilled or floorboards being taken up. We do, of course, also offer very fair pricing for our highly professional service. 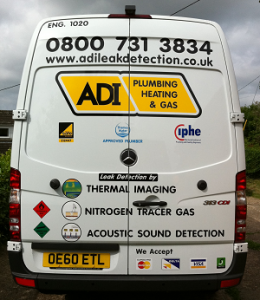 ADI can help with your leak issues no matter where you live in the UK. Why not call us now on our free phone number – 08007313843 – and have a quick chat with one of our team about what we can do to help you.